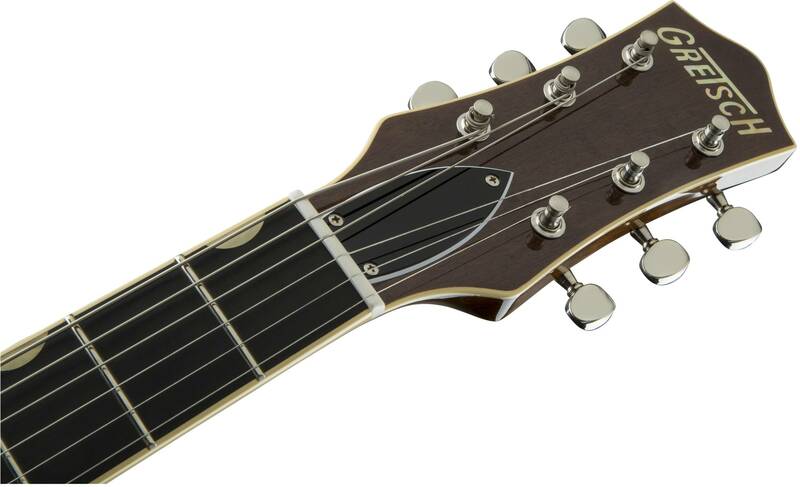 Inspired by the pivotal and prolific years of Gretsch’s 1950s and early ’60s golden age, Vintage Select Edition guitars are designed for player who appreciate the finest in musical instrument heritage. 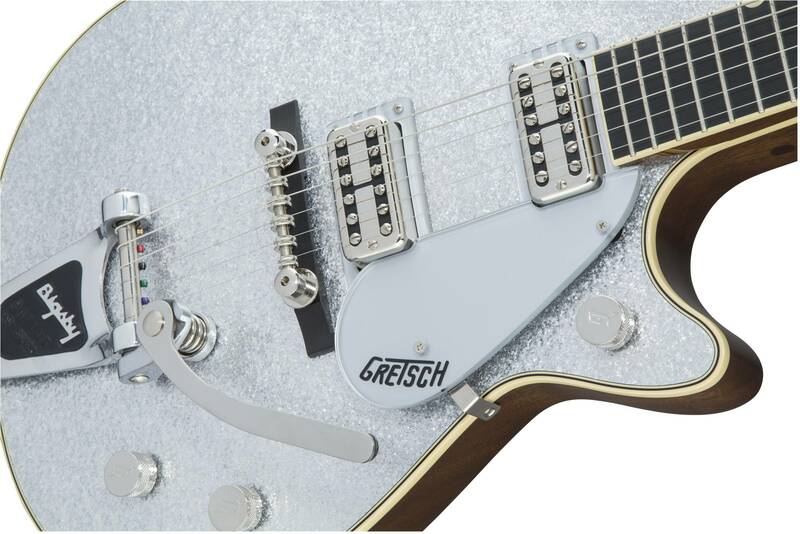 The new G6129T-59 Vintage Select ’59 Silver Jet™ with Bigsby® pays sparkling homage to that great legacy. 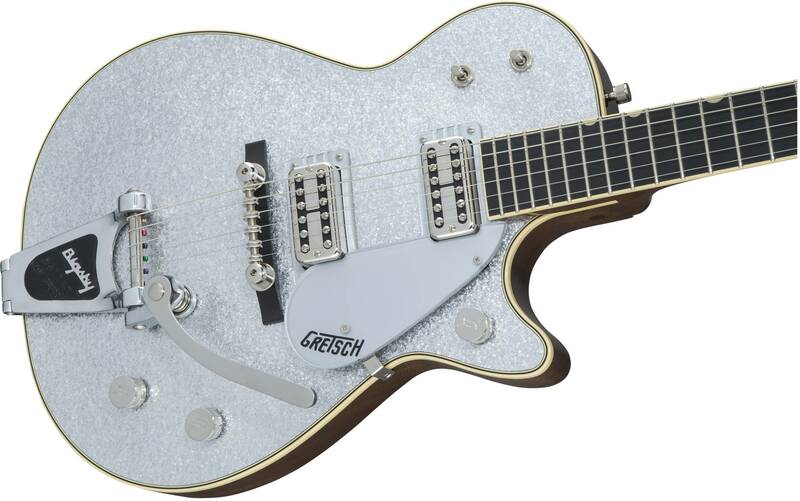 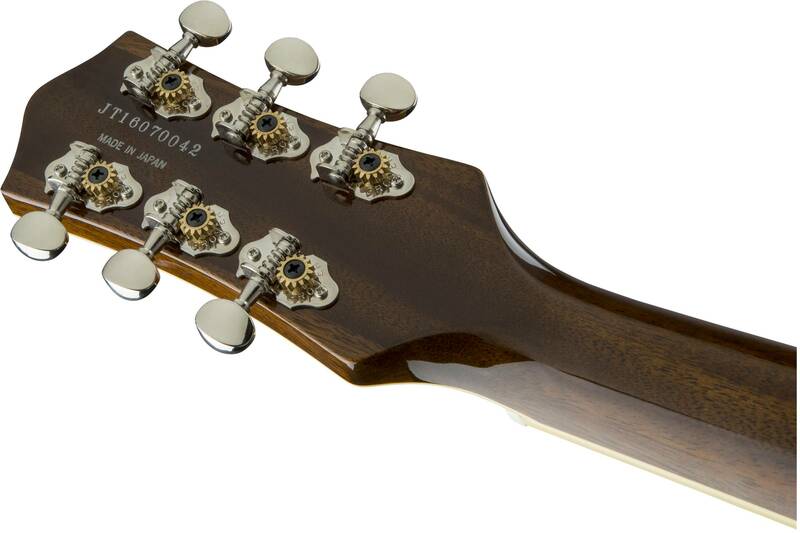 The Silver Jet is the time-honored silver-sparkle version of the Gretsch flagship Duo Jet, with signature power and punch coming from its chambered mahogany construction, which magnifies harmonic richness by letting air resonate between the top and body for livelier and more articulate tone. 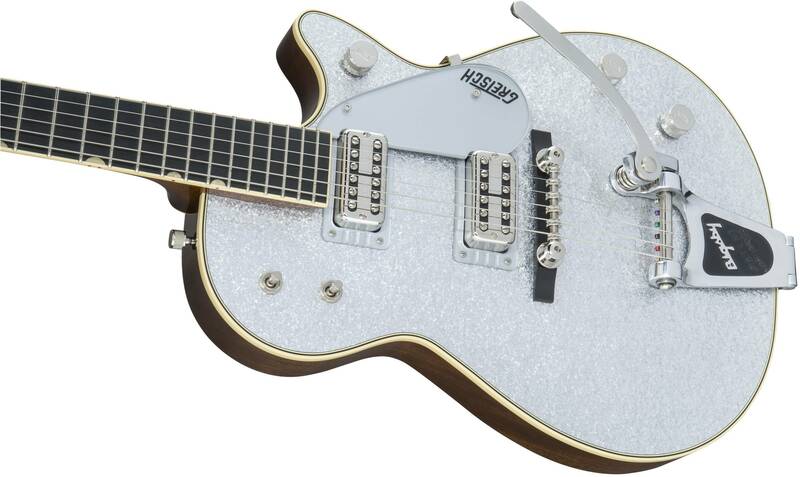 Filter’Tron™ pickups first appeared on the Jet in 1959, and the dual TV Jones® Classic™ pickups on this glittering and futuristic ‘50s era beauty reproduce the unmistakable vintage Filter’Tron sound with sterling tonal accuracy.